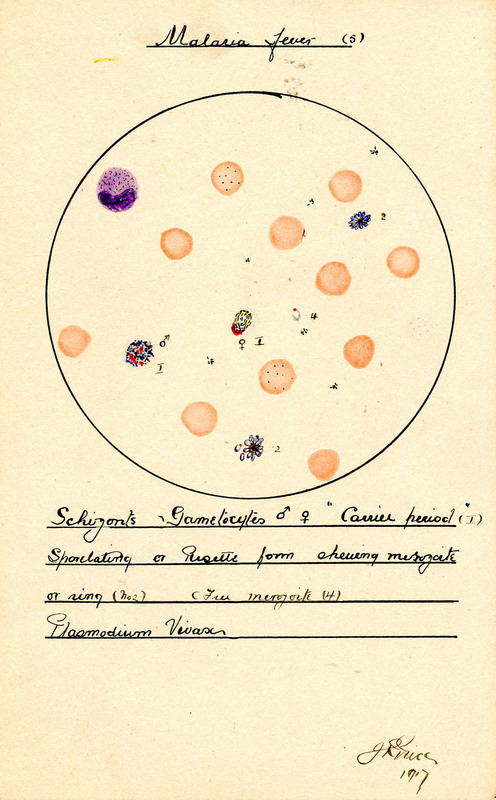 Part of a set of 12 paintings presented to Sir Ronald Ross, showing the gametocytes in the "carrier period" of malaria. “Painting of Malaria by John R. Price,” Heritage, accessed April 20, 2019, https://heritage.rcpsg.ac.uk/items/show/690. 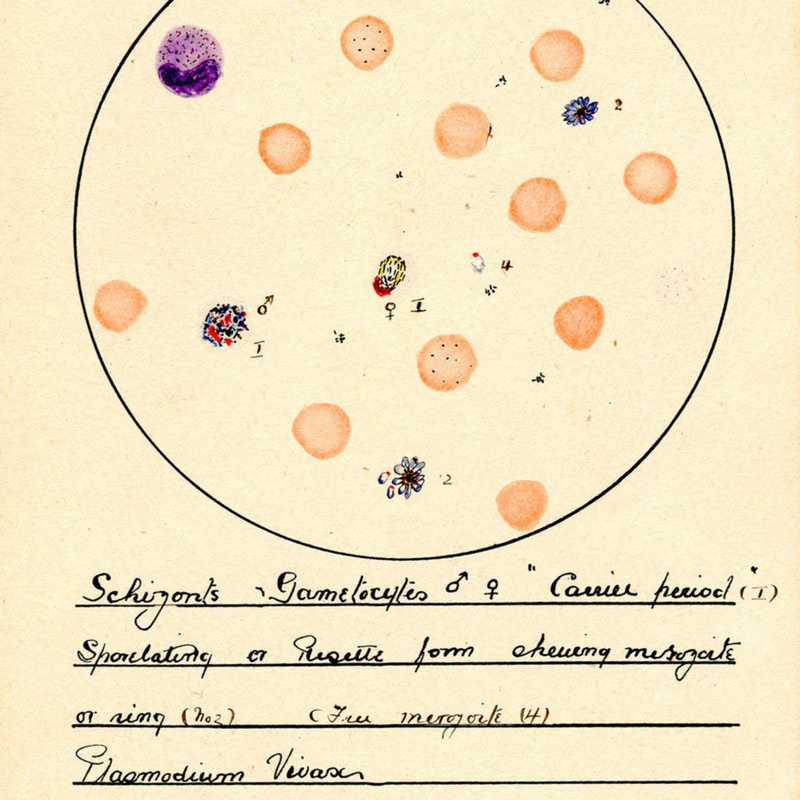 Description: Part of a set of 12 paintings presented to Sir Ronald Ross, showing the gametocytes in the "carrier period" of malaria.